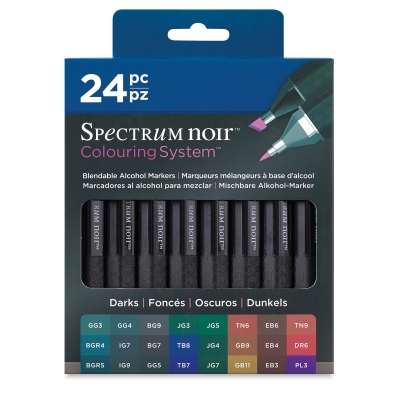 Spectrum Noir is the new high-quality alcohol-based ink marker that offers professional performance at an affordable price. The double-ended pens have a broad chisel nib and a fine bullet tip. Designed specifically for crafters, they are also great for beginners, students, and hobby artists.